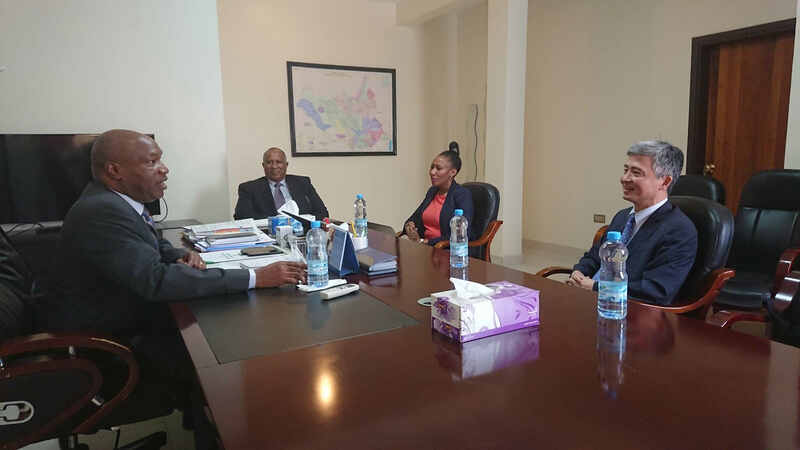 On February 13, 2019, Ambassador He Xiangdong met with Ambassador Lt. Gen. Augostino Njoroge, Interim Chairperson of RJMEC. They exchanged views on South Sudan peace process. Chairperson Njoroge briefed the Ambassador the implementation of RARCSS and the challenges ahead. The Chairperson appreciated the support from Chinese Government to RJMEC and hopes that Chinese side will keep supporting RJMEC. Ambassador He said that RJMEC plays an important role in South Sudan peace process. China will continue to support the work of RJMEC for the implementation of the RARCSS.